If you want to know where Colorado is headed, look no further than its commercial buildings. Colorado is projected to be among the top 10 states with the fastest-growing economies. Commercial new construction is expected to continue to thrive as demand for leased office space increases, driven by an ongoing tech boom, and resulting in climbing rent prices and stiffer competition for space. Meanwhile, the state continues to display leadership in sustainability. Colorado is one of only two states that has made the top 10 states for LEED ranking each year since the list started in 2010. 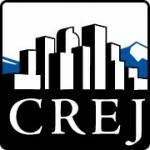 Because commercial buildings are responsible for 19 percent of all carbon emissions in Colorado, their energy performance is critical to meeting the state’s goal to reduce greenhouse gas emissions from 2012 levels by 35 percent by 2030. 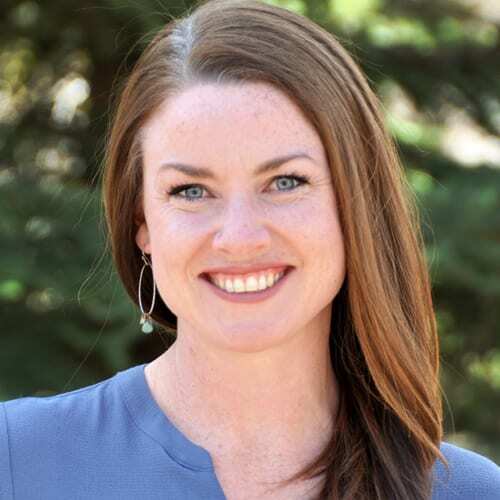 Now Colorado is again at the forefront of sustainability with the development of innovative lease structures that can elevate the energy performance of its commercial stock much higher than what it has achieved to date. 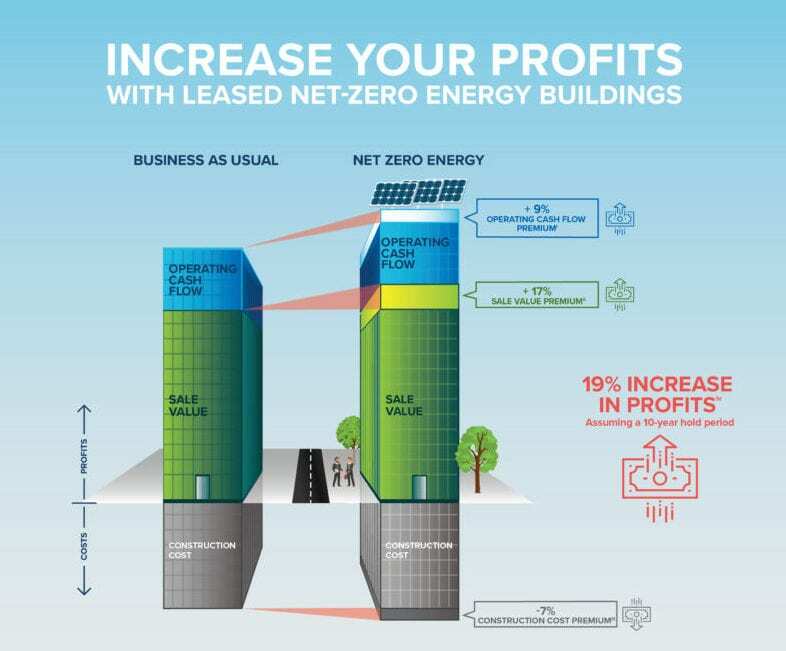 Net-zero energy commercial buildings are the next frontier for Colorado thanks to their unique ability to satisfy complementary and ambitious economic and environmental goals. NZE buildings are highly energy efficient, producing enough carbon-free energy (on-site or through off-site procurement) to meet the annual energy consumption of the building’s operations. Colorado currently ranks fourth on the list of 2018 NZE emerging and verified projects published by New Buildings Institute in February. In increasingly competitive local commercial real estate markets, a great case can be made to “go zero” as a means of gaining a competitive advantage and attracting the next generation of savvy tenants who seek out these leading-edge spaces. NZE – when thoughtfully implemented – can be up to 19 percent more profitable for developers who hold on to their property and 17 percent more profitable for developers who sell their property immediately. Additional value is achieved through higher occupancy, higher rent premiums and higher overall market value. Despite growing momentum, the Colorado real estate community has yet to fully capitalize on NZE commercial developments. That’s because these projects can pose a complex split-incentives challenge – in which the landlord pays for energy upgrades but the tenants reap the benefits – in leased buildings, which make up just over 50 percent of all commercial real estate in the state. However, thanks to a pioneering example in our own backyard, that’s about to change. Boulder Commons: The state’s first NZE commercial lease. Just 2 miles from downtown Boulder is the state’s largest NZE multitenant, mixed-use development: Boulder Commons. The more than 100,000-square-foot project not only raises the bar for sustainability, but also has national significance in the sense that it “cracked the code” for how to vault the split-incentives barrier endemic to other high-performance, multitenant buildings with the state’s first NZE lease agreement. Boulder Commons developer Morgan Creek Ventures worked with anchor tenant Rocky Mountain Institute and its counsel, the legal team at Holland & Hart, to develop a first-of-its-kind lease structure that builds a strong business case for tenants and landlords to actively contribute to meet the development’s net-zero goals. This process resulted in a lease that allocates a budget for factors like energy use that could make or break the development’s ability to annually meet energy demands through on-site renewable energy sources. (In this case, a 575-kilowatt solar photovoltaic system.) So, for example, RMI is incentivized to stay within its plug load energy budget of 7 kBtu per sf. If RMI exceeds this budget, it will be charged a fee to offset the overage with renewable energy certificates and be required to meet with the landlord to discuss ways to better manage energy use. This establishes a win-win because RMI has full control over how its energy budget is allocated and managed through plug loads, and Morgan Creek Ventures can more accurately size its PV system because it knows what loads to expect. The guide posits that everyone in the buildings sector has an important role to play. Armed with a strong business case and ready-to-implement recommendations, actions and supporting contracts, landlords, developers and tenants should start conversations with their internal teams on ways to harness NZE in their own portfolios in current or future projects, leveraging the support of first movers and the resources they have provided to nudge the rest of the industry forward. RMI’s goal is that as NZE buildings become more widespread throughout Colorado, commercial buildings will tell a powerful story about how the state’s real estate community elevated economic and environmental leadership to new heights – thanks to a piece of paper.